Although the overall rating is pretty low in this review I need to stress, that this is a superior app when it comes to handwriting recognition. As it even recognizes equations and hand-drawn diagrams which is unique to this app, and so far no other note-taking app is able to do! 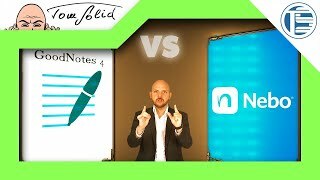 However, due to the fact, that this app lacks PDF annotation, multitasking capabilities, and many cloud services, this app is best as a companion app along with other note taking apps such as GoodNotes4 or Notability. 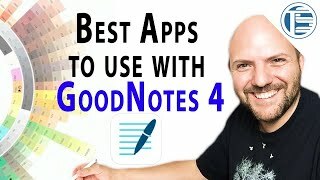 As the price is very low compared to the other apps, it is absolutely worth it having this app along with your main note taking app! Nebo 2.0.3 was just released and it supports iPad Pro 2018 and Apple Pencil double tap now! Nebo 2.0 also got a complete overhaul for its notebook organization. Nebo just received a major Update! Now it supports iCloud, Dropbox and GDrive sync. Even better, in my opinion, is the possibility that was added to copy/past diagrams into PowerPoint to edit it there. This is an awesome feature! Furthermore a “Quick tag menu” was added that allows the user to quickly switch between title, subtitle, and paragraph.